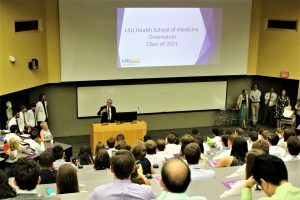 Admissions, Student Affairs, and Undergraduate Medical Education welcomed the Class of 2021 the week of July 31, 2017. 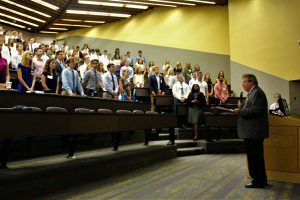 The class kicked off the week at a welcome orientation with School of Medicine leadership and the Student Government Association providing an overview of what to expect during the next four years. 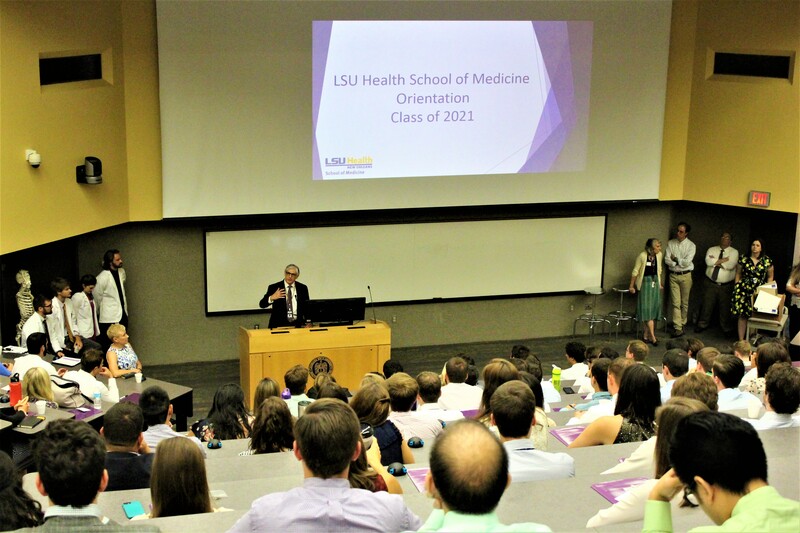 During the week, the Class of 2021 picked-up LSUHSC issued laptops, learned about cultural competency, had lunch with peer mentors and tank mates, ordered medical equipment, and stood for the Hippocratic Oath administered by Dr. Nelson. 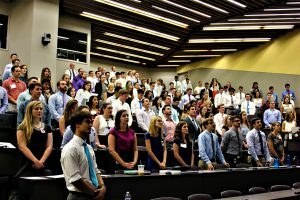 The class also received introductions to major concepts such as the Doctor/Patient Relationship, Clinical Reasoning, History Taking & Physical Examination, Team-Based Learning, and Medical Ethics. The orientation schedule included service projects and social events. 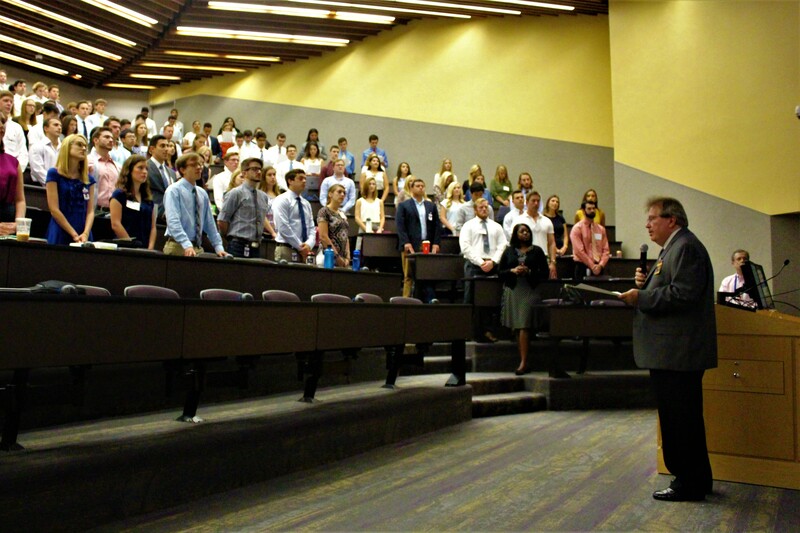 Orientation wrapped up with the Dean’s Reception on August 4 and a Diversity Forum on August 7. There are 201 students in the class of 2021; 195 new admits and 6 readmits. According to Admissions, this is the most diverse class admitted in terms of age, gender, race, and ethnicity. Classes officially started Monday, August 7. 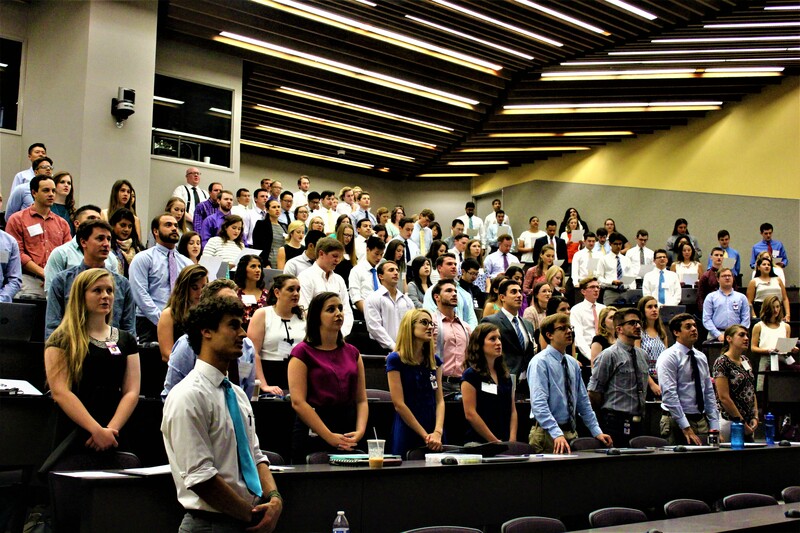 The Class of 2021 is now fully immersed in Gross and Developmental Anatomy, Biochemistry, and Clinical Skills Integration.